Joe Angione is a former columnist for The Villages Daily Sun: “An Obama rumor that must never become reality. 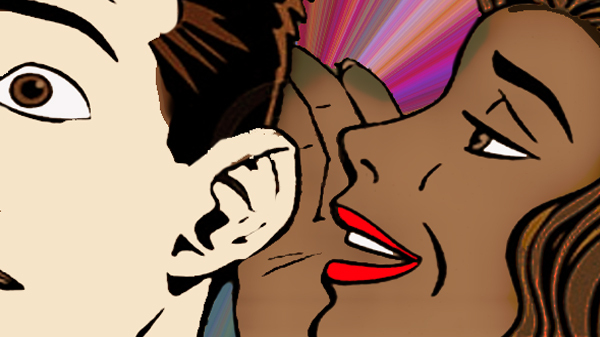 A good journalist is usually taught not to print rumors or at least never to present them as the truth. What I’m going to report here is only a rumor that presently can’t be confirmed. But it is of such magnitude that it must be made known if only to prepare America for a possible terrible eventuality. And while it has not been confirmed, neither can it authoritatively and convincingly be denied, certainly not in a United States where our Constitutional rights are under constant attack. This rumor involves an agent of the Department of Homeland Security who allegedly informed a reporter at the Canada Free Press of a “false flag” or faked event to be initiated by Obama administration operatives in the hope of preventing the November presidential elections. It’s a rumor that bears watching…and is worth spreading because the more people who know about it–and understand the high level of deceit and treachery that confronts us daily in Washington –the less likely it is for the rumor to become a reality. The lesson here is that if people are aware of the possibility, even remote, of some great calamity be falling them, they’re on guard…they’re prepared…their defenses are up, and those who would commit evil, will back down fearing a confrontation they can’t win. 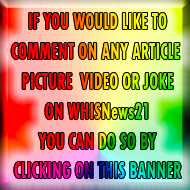 WHISNews21: We cannot possibly confirm that this is true or not, rumors are always rumors till they either fade away or become reality. Should we publish this or should we not, that was the question I asked myself. I wasn’t sure,I asked myself again, this time hoping for an answer (lol) and then I thought, well as it is hopefully just a rumor, then it will be ignored by everyone, and soon forgotten. However, if it is perhaps not just a rumor then at least if it does perhaps happen people may think twice about it being the truth or just a setup. Man this is very confusing…..
Long before you and I, our ancestors survived by hunting. Without knowing it, their efforts were divided into two broad arenas. Either they trapped their food by placing nets and traps in the pathways and rivers that their food used to commute to work. This was seasonal at best. Which meant that they had a few full tummy months followed by some very lean seasons. The other method of hunting was stalking, working out where bigger animals might be, getting a few hungry Neanderthals together, and chasing the prey equipped with rocks and sharp sticks. This too was seasonal, but these nomadic groups didn’t have to worry about BMW payments and labour laws. If somebody died on the job, one of his mates would marry his friend’s ex, often because the mates own wife had recently died during a lean season. We know very little of this time because there wasn’t enough wealth for people to learn to write, it was a hand to mouth existence, in many respects like the life we small business owners lead. And this is the way we lived for most of the history of mankind. At some point, around 7000 BC in the case of Egypt, a few folk began farming for their food. Farming means spending time looking after a crop or a herd. It means working in seasons. Early farmers learned that in order for a crop to grow by the end of summer, they needed to put some seeds into the ground in early spring. And once the harvest was over, they learned that it might be useful to keep a few seeds for next spring. This new approach is the basis for the way we live now. It was a very good thing. Yet we all want to harvest without doing the up front work. And we leave it so late that we need a bumper harvest, often so late that we do not have any seeds left to plant. 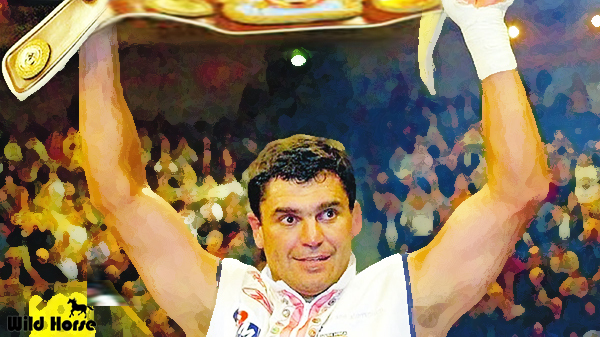 Pretoria – Ex-world heavyweight champion Corrie Sanders died while shielding his daughter during a robbery at a restaurant in Brits on Saturday.Sanders, who was shot in the stomach, died in the Kalafong Hospital on Sunday after undergoing emergency surgery. He was shot while lying over his 15-year-old daughter Marinique. He’d whispered to her to pretend that she was dead, Beeld reported. “There were 48 people at the restaurant, it’s just off the main road. We arrived at around 16:00 on Saturday. At about 18:00, as it was getting dark, Mike [Corrie’s brother] gave a speech. Then the grandfather stood up and offered a prayer. “That’s when we heard three or four shots. At first we thought it was the kids playing around. Then we realised it was serious. “There were three of them. Armed with pistols. They were telling everyone to lie down and give them their wallets and cellphones. They didn’t take much. Olympic swimming champion Roland Schoeman expressed his shock on Twitter, saying “Can’t describe in words how sad I am to hear about the senseless murder of my friend Corrie Sanders. RIP”. Recent Olympic gold medallist Cameron van der Burg, who along with Schoeman also hails from Pretoria – as did Sanders – said: “Rest in peace Corrie. A champion of the world”. Former Springbok captain John Smith in London tweeted: “Just woke up to news of Corrie Sanders having been murdered last night, what another senseless waste of life in SA. RIP Champion”. Springbok rugby player Breyton Paulse tweeted “Gone too soon” while ex-Proteas cricketer Pat Symcox said: “Feel sick to the core. Just so damn angry over Corrie’s murder. A helpless feeling and one that wants to scream out”. Former Bafana Bafana and Orlando Pirates star Mark Fish said: “So sad to hear about the tragic death of SA boxing great and a true gentleman Corrie Sanders. Condolences to all his family”. Sports reporter David Isaacson said: “Trainer Harold Volbrecht had a small gym: Corrie and Msukisi Sikali were stable-mates and world champs together. Both murdered. Shocking”. 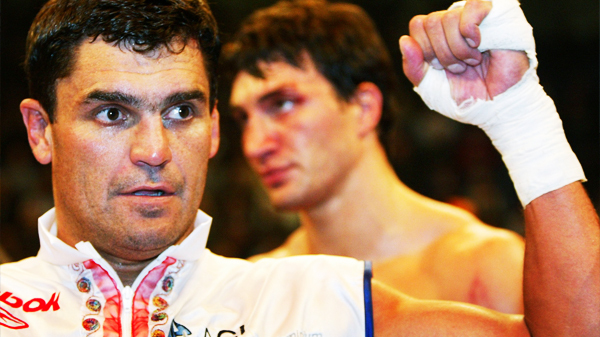 Three-time world champ Sikali was killed in a stabbing in Uitenhage in 2005. He died for his cellphone. WHISNews21: This extermination of the White South African population happens everyday, this very same execution style murder at restaurants and even private home parties, happen very often in South Africa. This time it made world news because a famous and very popular South African sports hero was murdered, but be aware that this is not just a “One Hit Wonder” like they say in the music business, this kind of situation has had many “Hits” and this will not be the last one. The next one will probably just be an ordinary Joe and you will not even hear about him or her. One thing that happens is that the families of all victims suffer the same terrible loss and find it hard to come to terms with the violence that we all have to sort of accept while living in South Africa. Police spokesperson Brigadier Thulani Ngubane said on Sunday night that no arrests had been made. Another victim of Genocide in South Africa, this time it was the turn of a real Hero our hearts are bleeding. Rapport a local South African Newspaper reported that Sanders was shot in the stomach and hand. Sanders later died of his injuries after being transferred from one hospital to another as most South African hospitals these days are not equipped to deal with serious wounds, and therefore regrettably died in the Kala­fong Hospital where he was finally transferred to. Sanders was celebrating the birthday of his daughter when three armed men arrived in the restaurant and shot randomly on Saturday night, Brigadier Thulani Ngubane also confirmed that Sanders, 46, was shot in the hand and stomach. Ngubane said it appeared that gunmen went to the restaurant with the aim to rob it. What the police neglected to say was to rob and kill….as shooting of unarmed white people was obviously in the spirit of genocide. The wallets and cellphones were not enough, innocent blood had to be spilled. “They shot randomly at the families at the restaurant and took a cellphone of the daughter who was turning 21 years and they also took a bag of another patron in the premises,” he said. Harold Volbrecht, who used to train Sanders, was shocked at the news. “It’s very sad. My heart is broken. It’s just terrible. I can’t believe it happened,” said an emotional Volbrecht. Kallie Kriel of AfriForum who happened to be at the Thatch Haven restaurant at the same time, when his son with five of his friends narrowly missed the hail of bullets, came running to tell him that shots had been fired at the restaurant. Kriel found Corrie Sanders lying outside on the ground in a pool of blood. At that point Corrie was still alive and in lot of pain, from the fatal wound to his stomach. a pilot or even a homeless person, but the fact is it will happen. It’s just a case of whose number get’s drawn today. confirmed the robbery and said a man had been shot and no arrests have been made. Malcolm86 – September 23, 2012 at 08:32 Another day, another one of 50 murders per day. The ANC idiots won’t lift a finger. They’re too busy lining their own pockets to give a damn! Arthur.salvado – September 23, 2012 at 08:42 RIP Corrie and thanks for the great memories. Condolences to the family. Sorry to say it, but this is Africa where life has no value and will never change. The Proteas’ respective captains in Test and one-day cricket, Graeme Smith and AB de Villiers, also joined the tributes. Present Bulls and national team representatives Morne Steyn and Pierre Spies also expressed Twitter condolences. I am of the opinion that 99% of what is left of the white population in South Africa would very much want to live in peace with all, but it seems that no matter how hard they all try they are being targeted and will be exterminated soon. If genocide in South Africa is not taken serious by the world very soon it will be too late. What every Christian in this world should perhaps be thinking is, that once evil is victorious in South Africa, who will be next, USA ? every one on this earth is the master of their own destiny, or are they ? – compliments of Lonnie Ratcliff. as we harmonized to “He Raised Me Up”… and last but not least, treated myself to a french-tipped pedicure. Yeah, it was a summer.